American researchers have found a way to increase low-energy infrared protons to enable them to produce power inside PV cells. A recently published study revealed that researchers from the University of California Riverside (UCR), have discovered a new and innovative approach to solar energy that could significantly boost the quantity of light that is available to traditional solar panels; a method that could take infrared light, which is currently inaccessible, and transform it into visible light. The new technique could make current solar panels up to 30% more efficient. The method, which is described in the most recent issue of the journal Nano Letters, explains how the researchers figured out how to “upconvert” infrared energy into visible light. It is the hope of the researchers that solar power efficiency will be dramatically improved, inexpensively, by directing this fabricated light into existing solar panels. The technique involves combining semiconductors with organic molecules. According to lead researcher and Professor of chemistry at the University of California, Christopher Bardeen, the material that results from combining these two parts is what helped the team to “reshape the solar spectrum”. Bardeen said that the infrared area of the solar spectrum passes directly through the photovoltaic (PV) materials of which today’s solar cells are comprised. He added that the energy is lost with current solar cells, no matter their quality. The new discovery could benefit more than just solar energy. In addition to solar energy, Bardeen explained that having the ability to upconvert two low energy photons into a single high energy photon could possibly benefit other applications in data storage, organic light-emitting diodes, and biological imaging. The research could have widespread implications, Bardeen said. 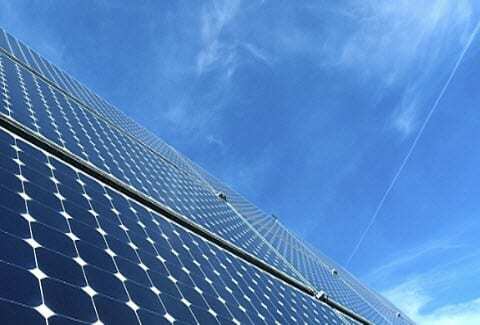 Solar energy is a relatively new form of energy. Discovering ways to improve it will probably come fast and furious. This seems to be the pattern for all new inventions. The more powerful you can make solar panels the smaller they will get and that can only be a good thing.